Rio Salado College has a new educational program to help adult students and online learners prepare for a career in the criminal justice field. 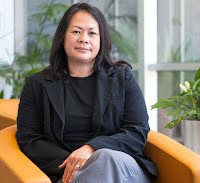 “Rio Salado’s new Associate in Applied Science and Certificate of Completion in Administration of Justice (AJS) are designed with industry expertise to address specific employment needs within the industry,” said Rio Salado Public Safety and Paralegal Faculty Chair Angela Kwan, who played a key role in the development of this new program. 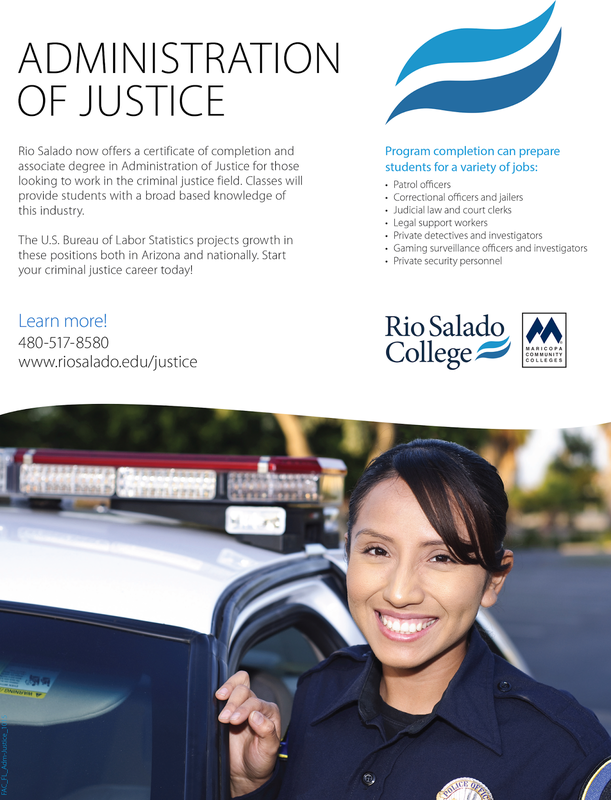 According to the Bureau of Labor Statistics, the criminal justice field is projected to grow, which is why Rio Salado created its AJS program. 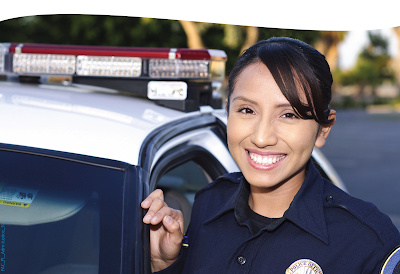 Careers in this field include patrol officers, correctional officers, judicial law and court clerks, private investigators, private security and more. “Rio Salado has a history of collaborating with local and national industry partners to prepare students for the workforce by offering an ever-expanding option of certificate and degree programs,” said Kwan. “We are excited to give our students more options to prepare for local job opportunities. A highly-trained workforce benefits employees, employers and the greater community at large,” said Kwan. Kwan said the AJS curriculum focuses on the law, constitutional rights, and civic responsibility. “Courses are taught by experienced practitioners and academic scholars who bring real-world application in the areas of law enforcement, the courts, and corrections,” said Kwan. “Students are assessed for critical thinking and communication skills, which better prepares them for a career in the criminal justice field and advanced academic studies at other colleges and universities." Rio Salado also offers several certificate-to-degree pathway programs in the criminal justice field and credit-for-prior learning opportunities for graduates from authorized academies, law enforcement officers and former officers to earn a Certificate of Completion in Law Enforcement Technology. For more information, visit www.riosalado.edu/programs/law_enforcement.